Product prices and availability are accurate as of 2019-04-17 22:58:03 EDT and are subject to change. Any price and availability information displayed on http://www.amazon.com/ at the time of purchase will apply to the purchase of this product. 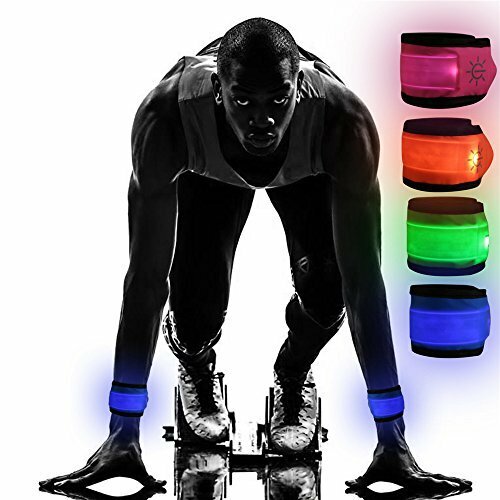 This model of Slap Armband has two patents, including the Utility model patent & Design patent. The inventor of this item has years of experience in this line, our product's quality is outstanding, beating other sellers who buy from those factories who stole our designs. 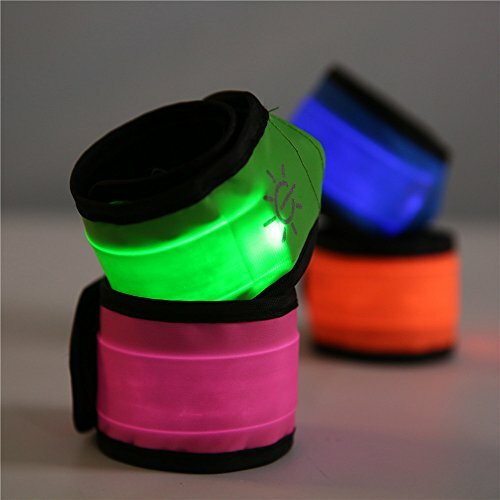 The LED light of the 360°whole Armband is shining, not just one spot, which can ensure safety when doing exercises or other activities at night, for exaple, wear it at your favorite singer's concert or campfire evening party and etc . Adjustable size makes the wearing of the item quite comfortable. You can buy the same item for your children, as the size is adjustable. 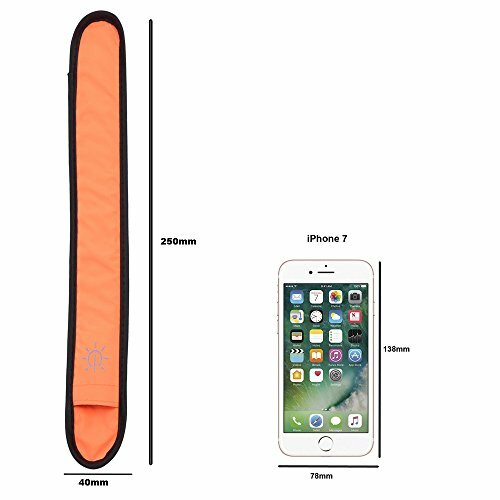 We are using the eco-friendly TPU light-guiding tube, which is covered by nylon fabric. Each Armband comes with 1*CR2032 3V small lithium button batteries which can work for about 50-70 hours. When the battery is exhausted, you can replace it with a new one. Button battery is consumable cannot participate in the warranty. Thank you for your understanding. There are four armbands in one pack.You can get 4 different colors via one purchase (Orange-Armband, Green-Armband, Pink-Armband, Blue-Armband). Price is quite reasonable for DOUBLE safety. 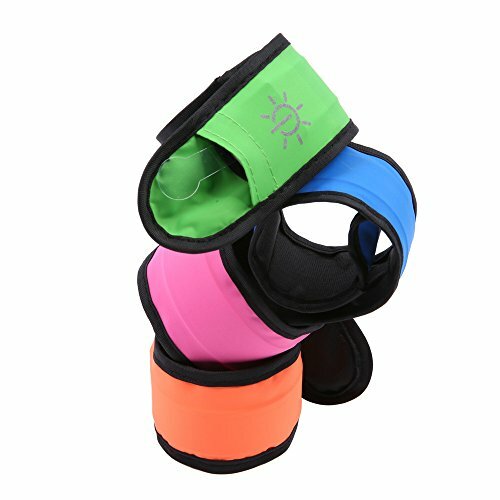 ONE SIZE FITS ALL: The dimension of Emmabin LED Armband is 4cm x 25cm, it fits on both adult and children, men and women, by simply slap wrap it to different position, such as wrist, ankle, and arm. If you want to use it around the biceps, please check the dimension to see if it can fit on. Adjustable for ANY SIZE: The elastic band makes it easy to adjust for a loose or snug fit. 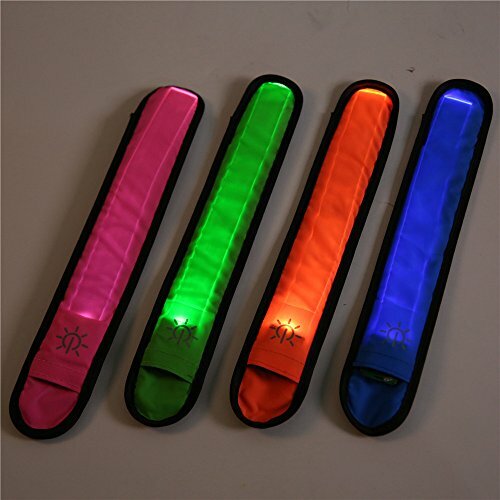 SUPER GLOWING IN THE DARK: This LED Slap band provides 360 degree ultra-high visibility in dark and nighttime activities.This provides great safety protection for you, your children or your pet from negligent and distracted drivers. 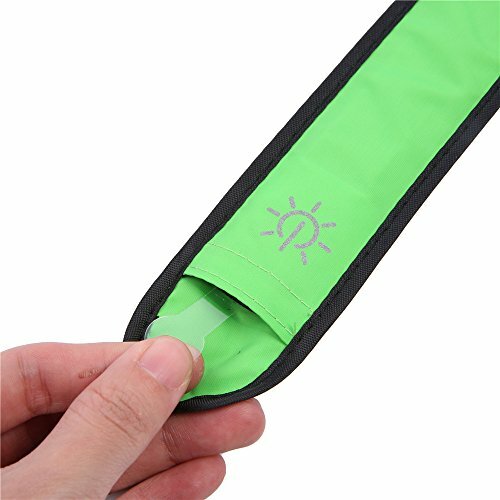 You can also wear it for night activity, such as your favorite singer's concert or campfire evening party and etc REPLACEABLE BATTERY:Each Armband comes with 1*CR2032 3V small lithium button batteries which can work for about 50-70 hours. When the battery is exhausted, you can replace it with a new one.